Together, they represent a sea-change in how we understand what Transition is and how to do it. The Kingston Philosophy Festival, the Kinsale 50 Mile Meal Award and this year’s Transition “Un-Conference” for the German-speaking Transition community plus many more. Transition Network is creating a series of learning exchanges that will enable us all to learn from innovative and successful Transition Initiative projects and social enterprises across Europe. by the end of the year, to give this burgeoning movement a big boost at a critical time. 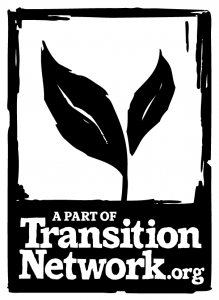 Will you make a financial contribution now to support our work, and the work of Transition Communities across the USA? as the price of oil rises and the economy tightens. There are many things you can do to be part of this growing movement—and only some of them involve sleeping outside. Here is a digest of some of the articles and resources about how we can be bold in our next steps and combine our Transition thinking with this new surge of momentum around change. It has been a year of gatherings, each one different from the last. The 2011 Transition Camp was not defined by its music or intellectual debate, but by our presence on the land, the chalk and clay pastures and woodlands of Sussex. issues and experiences of being in Transition. Charlotte tells a tale of visiting the social reporters before the project kicked off. I haven’t got a full-time job, and the prospects of getting one remain dim. “There’s an important event coming up,” we’ll need to get a simple flyer out, who would like to do this easy job”? across three of London’s most deprived boroughs: Hackney, Haringey and Islington. So what’s been our strategy? not just the minority of the population that are currently doing it. why people squat, the main reason is homelessness. Believe it or not, here in Northern Ireland, we have two sets of everything. and not just writing off the ‘unengaged’ is so key to creating a better society. Many food growing projects fail after the first year because they’re planted with high maintenance plants that need to be replanted each year and then mollycoddled. processes and systems that can be high yielding, effective and fair. The thought of gardening scares me stiff. Composting is the closest I usually get to it. Letting dead things rot is easy. my mum mused, over one of her endless cups of tea. two very different worlds: local food project collaborators and the culture of the modern healthcare system. and a feeling for the living systems of the planet. For the past year, Catrina Pickering has been Transition Network’s diversity coordinator, contributing to all aspects of Transition Network’s work with the objective of helping Transition Initiatives to better embed diversity and inclusion in their efforts and her last piece of work was to distil her learnings and accumulated wisdom into a guide .